Shepton Mallet Prison is England’s oldest prison which is still in use housing 186 prisoners within a Grade II listed building. 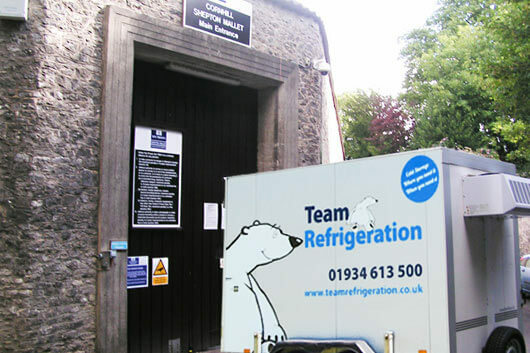 Team Refrigeration supplied a refrigerated trailer to meet the prison’s requirement for temporary refrigeration while their kitchens were refurbished during the summer. Relocating frozen foods isn’t always as straight-forward as it may first seem. With rigorous health and safety requirements to adhere to, it is vital that frozen foods are constantly kept below a certain temperature. So having an onsite freezer facility that is entirely weatherproof and that you can locate exactly where you want (outside where there’s more space) made the logistics for the prison team simple.